Mike Sniper returns with four new tracks from his Blank Dogs project. Phrases represents a further step away from the rasping scuzz of prior releases, and Sniper's vocal is markedly less entrenched in muck and mulch than on his early output. It has to be said though, he really needs to think about pitching now and then. When on 'Heat & Depression' there's a stab at harmonised multitracking, the vocals transgress from charmingly wayward to howlingly unpleasant. It's all a conscious aesthetic decision (you'd presume) but boy, does it ever grate. Far more pleasingly, 'Blurred Tonight' steps Blank Dogs' game up considerably, throwing down some great New Order-style guitar lines which enhance the willfully thinned-out bedroom-electro sound no end. This might be the finest pop moment to date in the Blank Dogs catalogue, but the anti-hits keep on coming with an early-Cure/Joy Division influenced number, 'Racing Backwards', leading the B-side. Finally, 'End Of Summer' nicely channels the spirit of cold-wave era synth-pop and collides it with the DIY glo-fi preoccupations du jour for a chunk of propulsive '80s ephemera that stands out from its peers by virtue of its ace chorus. Indeed, for all his thorny production tactics and detuned lead vocals, Mike Sniper undoubtedly has a strong working relationship with the essential ingredients of great pop music. 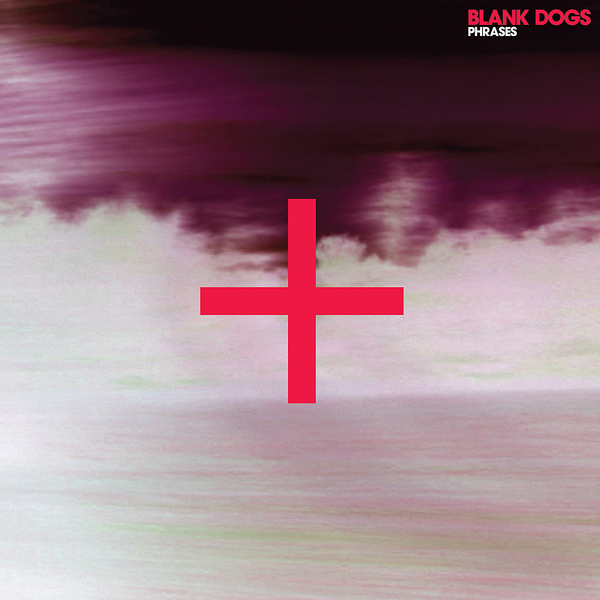 Blank Dogs seems to get better and better with each release, and Phrases certainly doesn't buck that trend.